Told with raw, rugged honesty, this heartrending memoir from journalist Sarah Tomlinson recounts her unconventional upbringing and coming-of-age as colored by her complicated relationship with her father. Sarah Tomlinson was born on January 29, 1976, in a farmhouse in Freedom, Maine. After two years of attempted family life in Boston, her father’s gambling addiction and broken promises led her mother to pool her resources with five other families to buy 100 acres of land in Maine and reunite with her college boyfriend. Sarah would spend the majority of her childhood on “The Land” with infrequent, but coveted, visits from her father, who—as a hitchhiking, acid-dropping, wannabe mystic turned taxi driver—was nothing short of a rock star in her eyes. Propelled out of her bohemian upbringing to seek the big life she equated with her father, Sarah entered college at fifteen, where a school shooting further complicated her quest for a sense of safety. While establishing herself as a journalist and rock critic on both coasts, Sarah’s father continued to swerve in and out of her life, building and re-breaking their relationship, and fracturing Sarah’s confidence and sense of self. In this unforgettable memoir, Sarah conveys the dark comedy in her quest to repair the heart her father broke. Bittersweet, honest, and ultimately redemptive, Good Girl takes an insightful look into what happens when the people we love unconditionally are the people who disappoint us the most, and how time, introspection, and acceptance can help us heal. A forthright, sensitive, and compelling memoir about one woman's often fraught relationship with her father. I read it in a day and felt mournful when it was over. Tomlinson is a clear-eyed yet compassionate writer, and the emotional rigor that she brings to this book is both rare and beautiful. A compelling, insight-laden memoir documenting the devastating impact of a father’s undependable love on a daughter. Tomlinson is a woman whose emotional life is a shimmering, shifting sea the currents of which are shaped by a geologic formation at the bottom, the charming bohemian fantasist that was her father. With great poignance and vulnerability, Tomlinson turns a frank, funny, and honest gaze on one girl's struggle to redefine "good" on her own terms. Shot from the heart, Tomlinson's memoir of her dance around her enigmatic and elusive father resonated deeply with me, as it will with anyone who has yearned for a parent's love and their own place in the world. 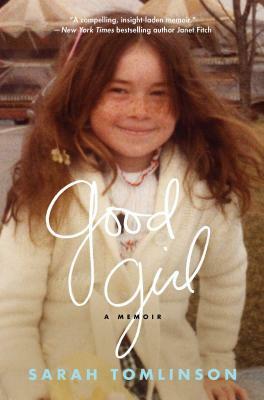 Sarah Tomlinson's Good Girl courageously explores the central journey of every woman's life: from wanting the love of Daddy -- and the men who stand in for him -- to learning how to love herself.